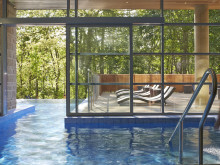 Just six months after opening, Aqua Sana at Center Parcs Woburn Forest has been named winner in the Best Spa to be Social category at the prestigious Good Spa Guide Awards. Aqua Sana Woburn Forest is an innovative concept which has evolved from the existing award-winning Aqua Sana Spas. Inspired by nature and combining different approaches from many of the leading European spas, Aqua Sana Woburn Forest encompasses six unique spas, each one with a variety of multi-sensory experience rooms, including two world-first experiences – the Mineral Room and the Sensory Experience. The Good Spa Guide Awards are decided by specially appointed Good Spa Spies who review over 100 spas every year and complete a detailed audit sheet, covering all aspects of the spa from service and facilities to cleanliness and maintenance. The six spas within Aqua Sana Woburn Forest are; The Fire & Ice Spa; The Blossom Spa; The Herbal Spa; The Sensory Spa, including the world-first Sensory Experience; The Mineral & Gemstone Spa, including the world-first Mineral Room and The Salt Spa. As well as 25 experience rooms, there are also 22 treatment rooms, Center Parcs’ own concept, Vitalé Café Bar, serving a healthy, Mediterranean menu and six luxury Spa Suites. Aqua Sana Woburn Forest is setting the benchmark for high quality social spas in the UK and beyond, taking the Aqua Sana World of Spa to a new level. As a state-of-the-art spa, this is the only one of its kind in Europe, evolved from the award-winning spas already a success at Center Parcs’ other four Villages. Inspired by nature and combining different approaches from many of the leading European spas with the latest innovations, there are six unique spas to journey through, all within the World of Spa. There are five Aqua Sana Spas in the UK; Sherwood Forest in Nottinghamshire, Elveden Forest in Suffolk, Longleat Forest in Wiltshire, Whinfell Forest in Cumbria and Woburn Forest in Bedfordshire. The other nominees in the Good Spa Guide Best Spa to be Social category in 2014 were: Antara Spa at The Chelsea Health Club, London; Thermae Bath Spa, Bath; Lion Quays Waterside Resort, Shropshire; Vale Resort, Vale of Glamorgan and Y Spa at Wyboston Lakes Hotel, Bedfordshire. 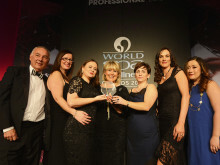 Aqua Sana was also shortlisted for two other awards: Aqua Sana Longleat Forest for the Best Spa in the South West of the UK & Channel Islands Award, and Aqua Sana Elveden Forest for the Best Customer Service Award.